Showcasing the precision, quality, reliability and nobility that Raymond Weil is famous for, the Freelancer collection is designed to be with you every step of the way. Designed with a modern and elegant style, the collection features striking and handsome men's watches and chronographs, alongside sleek feminine designs that unite all the elements of excellence of the Swiss luxury watchmaking industry. Inspired by Richard Wagner’s last opera, Parsifal, this collection was first launched in the early 90’s and has been reimagined with a modern twist. The elegant Parsifal collection fuses precision, elegance and Swiss expertise for timeless style and luxury. Fusing tradition and authenticity to create a beautifully refined collection of timepieces, the Raymond Weil Maestro range effortlessly combines generations of watchmaking know-how with an unparalleled attention to quality. The product of Swiss expertise, this classic and traditional collection is inspired by formal yet elegant design. Strength meets femininity in this exceptional collection whose delicate details create a style that is both sweet and desirable. 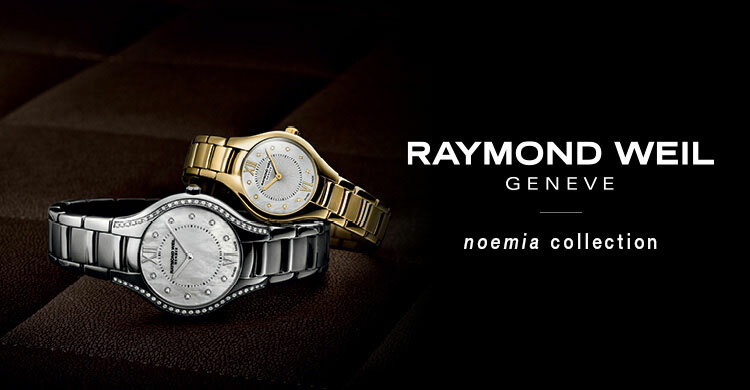 Delightfully subtle with soft, seductive lines, the Raymond Weil Noemia collection uses centuries of carefully handed down Swiss watchmaking skills to create this exceptional design. 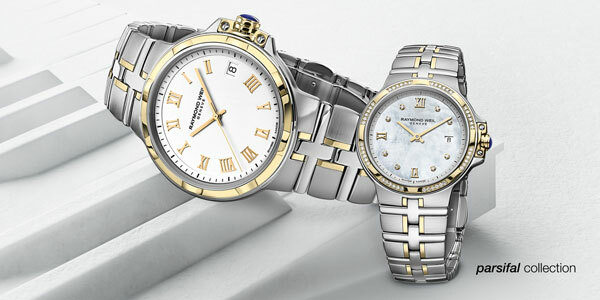 Refined and understated, the Raymond Weil Tango collection is an iconic symbol of class and sophistication. Showcasing sleek design and Swiss engineering excellence, this classic collection is crafted like a piece of fine jewellery and is designed to complement any occasion. 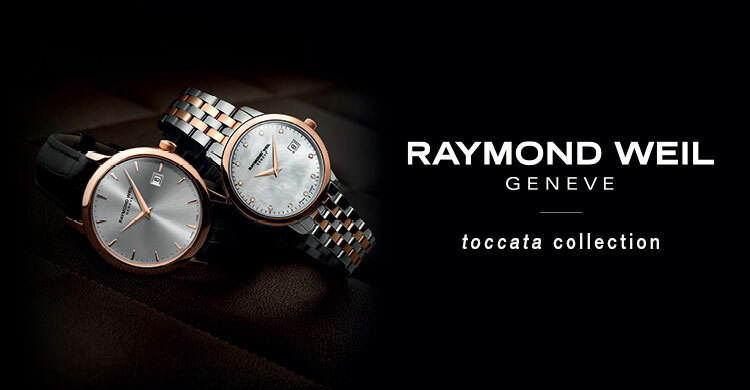 Paying tribute to Raymond Weil’s watchmaking craftsmanship which has been handed down from generation to generation, the Toccata collection is a perfect blend of classic and contemporary design cues, distinguished by its elegant simplicity and timeless style. As part of our centenary celebrations, we’re incredibly excited to be the only UK stockists of these Raymond Weil Tango watches. 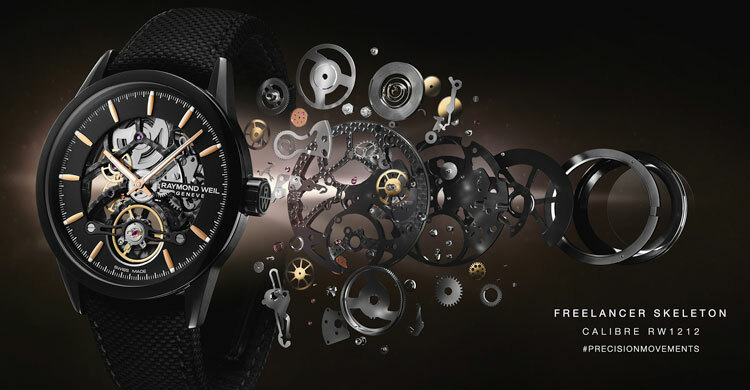 Independence is a state of mind for Raymond Weil, and since 1976 they have been proud to be a family run business. Harnessing centuries of Switzerland's carefully handed down watchmaking skills and know-how, they create beautiful watches which seamlessly fuse classic design and state-of-the-art engineering. Showcasing a luxurious air of refined elegance, the brand places musical inspiration at the centre of their universe, something which is demonstrated by their partnership with the Royal Albert Hall. An essential part of Raymond Weil’s DNA, the brand’s passion for music is second only to its mission to achieve watchmaking excellence, using knowledge that has been handed down from generation to generation to meet the prerequisites of the much sought-after ‘Swiss Made’ label. Celebrating over 35 years of involvement in the music industry across all genres, Raymond Weil believes that the music that was yesterday’s source of inspiration, today reveals itself in the precision, reliability and nobility of its beautiful Swiss Made watches. One of the UK’s most influential music awards, Raymond Weil has been the Official Watch and Timing Sponsor of the BRIT awards since 2007. A national music charity dedicated to transforming the lives of vulnerable children and adults across the UK, for over 50 years, Nordoff Robbins has set the benchmark for using music to improve health and wellbeing. A partner of the charity since 2000, Raymond Weil are proud to support the Best International Artist Award at the annual O2 Silver Clef Awards which raises funds for the charity. Inspired by Greek and Roman amphitheatres, at 45m high the SSE Hydro has become the newest landmark on Glasgow’s skyline and has been designed to achieve acoustics of the highest standard. Destined to become one of the world’s busiest entertainment arenas, Raymond Weil is proud to be the SSE Hydro’s Official Timing Partner. Held at the Royal Albert Hall each May, Raymond Weil have been a partner of the Classic Brit Awards since 2011, presenting each performer, presenter and winner with a special timepiece. An annual fundraiser for the Mayor’s Music Fund, the London Music Awards is a glittering celebration of the capital’s musical talent. Designed to nurture and develop the skills of talented children across London’s boroughs, in just two years the charity has helped over 14,000 young musicians. Since 1871, the Royal Albert Hall has become one of the world’s most desirable venues. 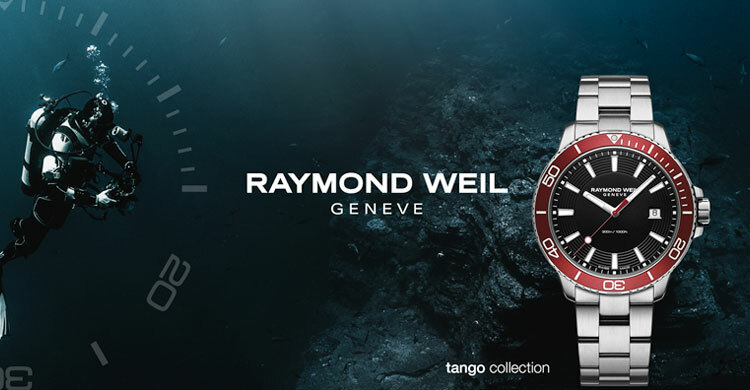 Hosting more than 350 events each year, from opera and ballet to classical and pop music, Raymond Weil is proud to have become the Official Timing Partner of this spectacular and prestigious venue. 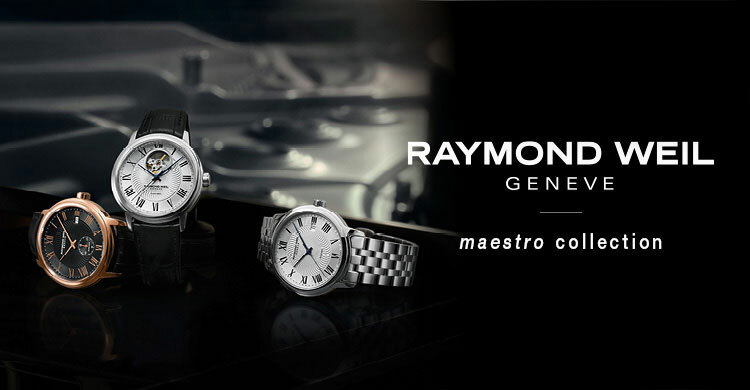 Discover one of the best selections of Raymond Weil watches in the UK. You can also book an appointment at one of our Raymond Weil stockists and our expert advisors will guide you through the collections.